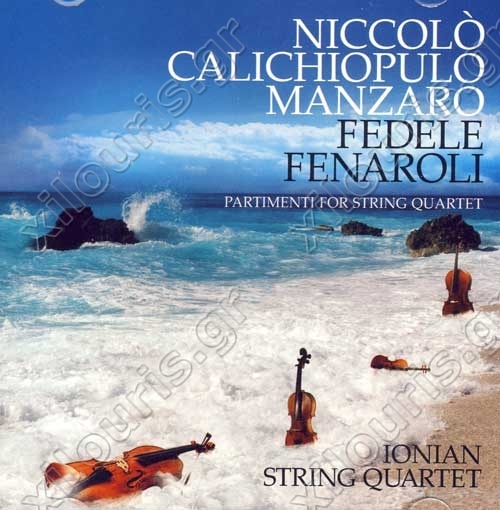 This is the first ever release of works by Niccolo Calichiopulo Manzaro (1795 - 1872) for string quartet. Manzaro's most widely known composition remains the musical setting for the poem of Dionysios Solomos' Ymnos eis tin Eleutherian (Hymn to Liberty, 1829 -1830), the first and second stanzas of which were adopted on 28 June 1865 as the Greek national anthem. In the last twenty years, Manzaro has been hailed as an outstanding ?gure among composers and intellectuals of 19th century Greece. Research has revealed important theoretical works on the one hand and interesting pieces of music on the other. In one particular case, a manuscript with partimenti for string quartet was brought to light. The present recording is a selection of the music found in a manuscript, which is currently part of the Rombotis Archive of the Ionian University Music Department Library.